For years we have heard that Breakfast is the most important meal of the day. I am not a big breakfast eater. I do love breakfast on the weekends. I guess because I have time to sit and enjoy my breakfast most weekends. My kids are the same way. We are always looking for breakfast items for the kiddos that they will love. 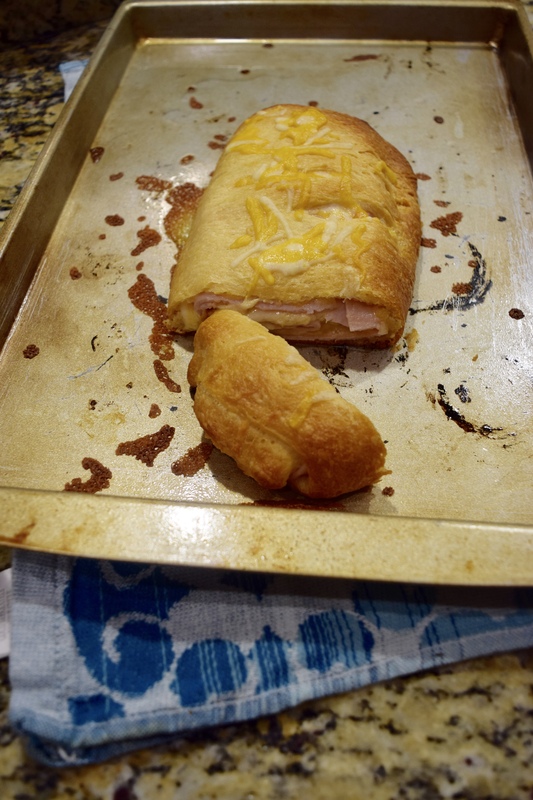 This weekend I decided to try a 3 ingredient Ham and Cheese Pocket. I loved how it turned out and I decided to share it with you. 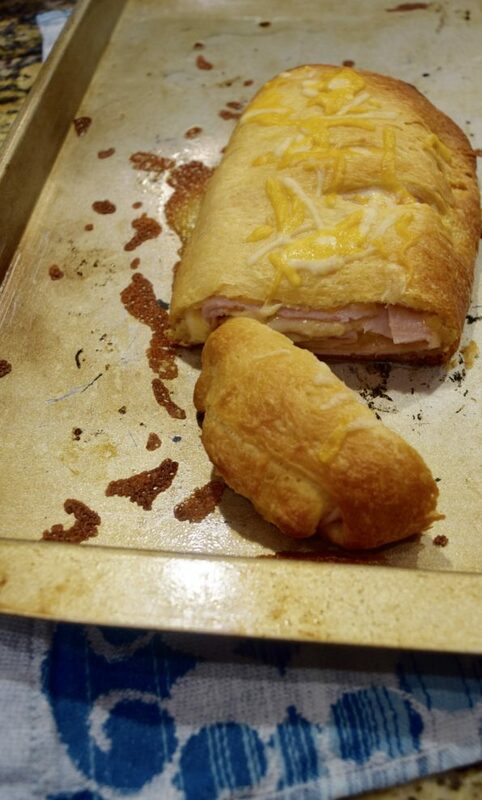 The Turkey and Cheese pocket is so easy that you can switch up ingredients. Adding more or removing and replacing the ones suggested. Play around with it and be sure to tag me on Instagram. I would love to see what you come up with. 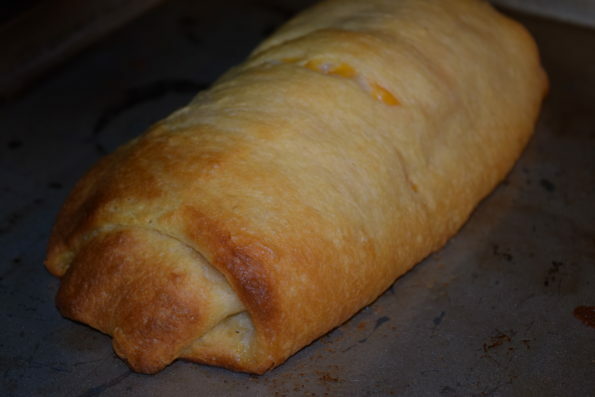 Unroll the Crescent Dough Sheet. 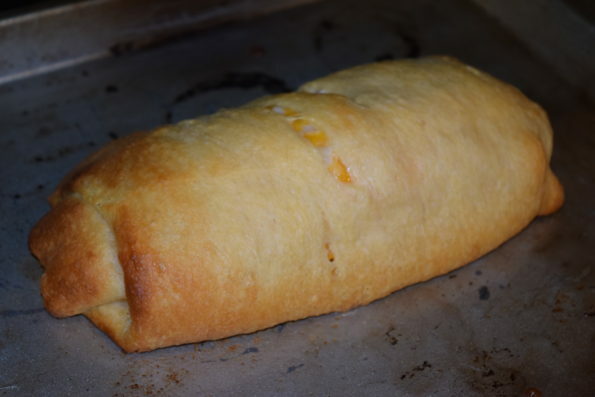 Add shredded cheese on top of dough sheet. 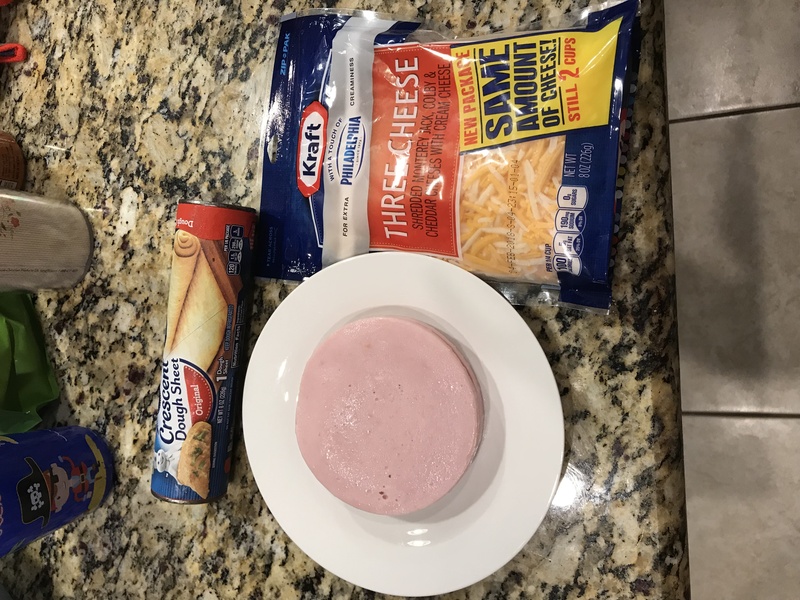 Place the turkey slices on top of the cheese. 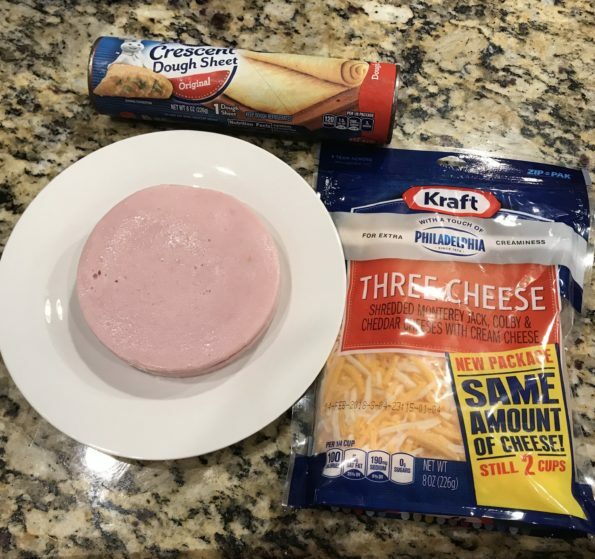 Add a little more cheese on top of the turkey slices. 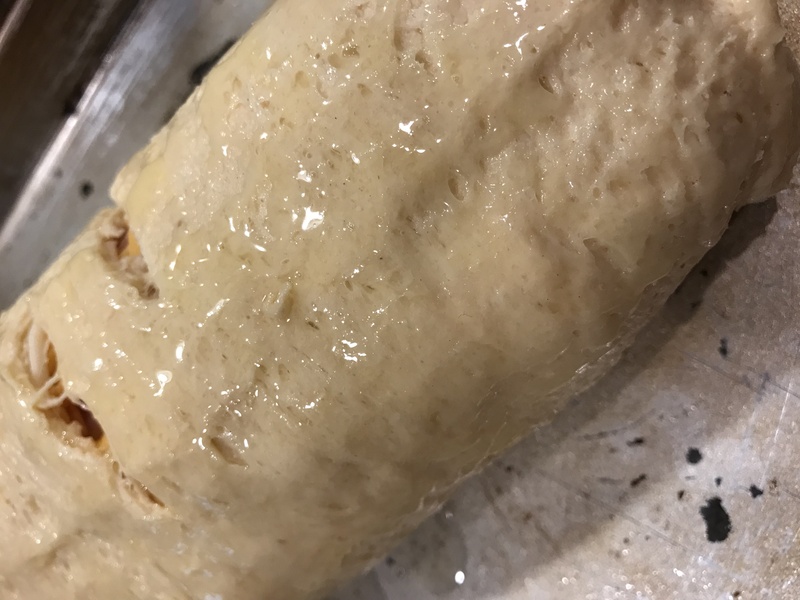 Roll the dough with all of the ingredients inside. 6. Brush the exterior with melted butter. 7. Bake in a 350 degree oven for 15-20 minutes. Make sure the interior is completed cooked and the cheese is melted. 8. 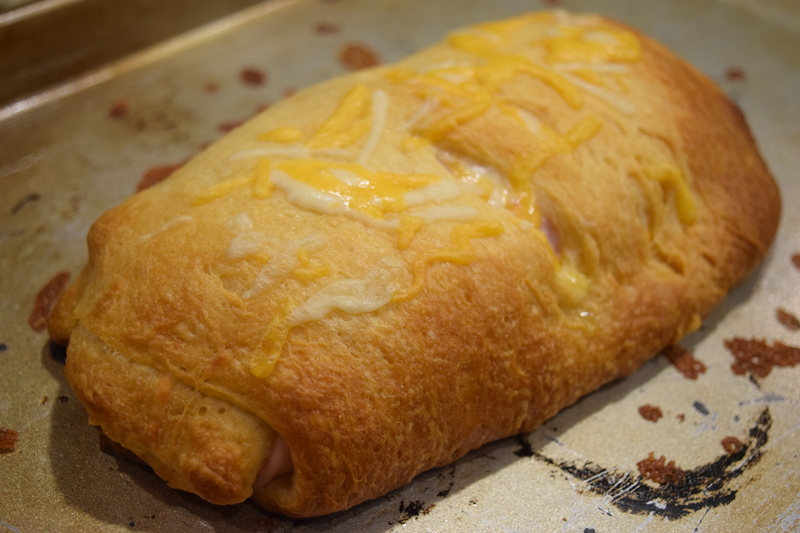 Add a little more cheese and bake for an additional 1-2 minutes.